First week of Create 28! I realized I never published the first week summary! Oops! Here it is! 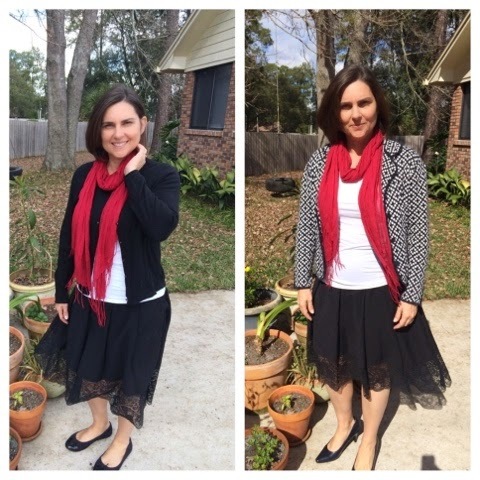 I chose to style a favorite outfit combo for a church day. 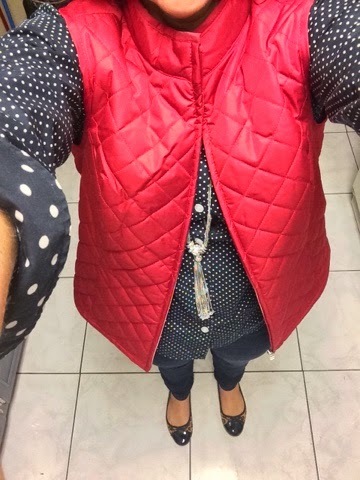 I took my usual formula of skirt+tshirt+cardigan+scarf for color and changed it up by adding a knit blazer and heels. 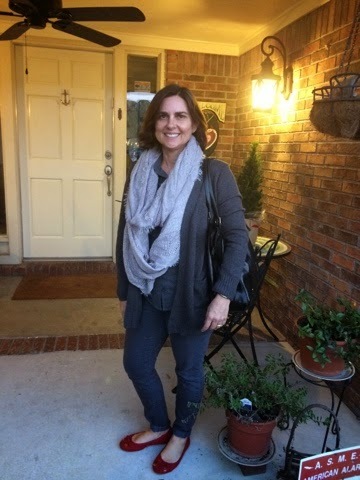 I went with grey for my monochromatic look, styling grey skinny jeans, a grey polka dot top with a grey bf cardigan and a light grey scarf. I added red quilted flats for interest. My neutral look was also monochromatic. 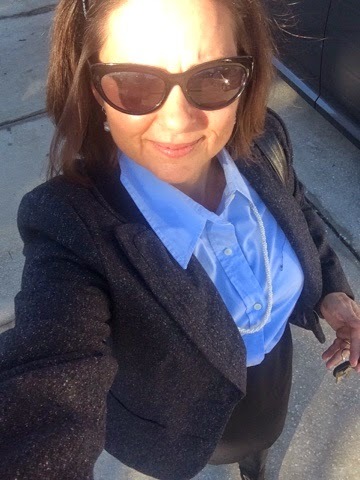 I wanted to do a lighter color, like white or cream but it was cold this day so I went with what I have in my closet: navy. 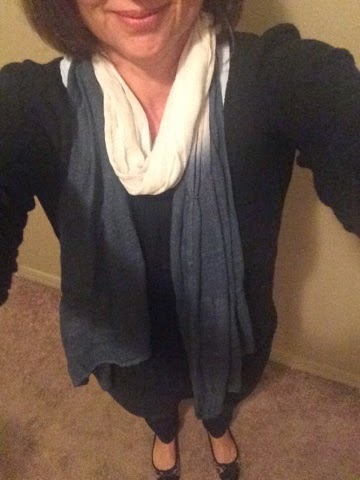 I paired dark skinny jeans with a navy sweater layered over a light blue tank and a blue ombre scarf. I wore leopard print flats since they are a neutral. 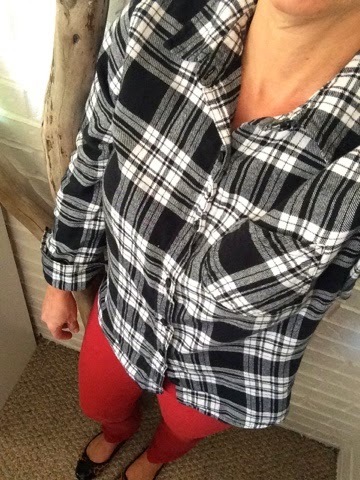 I bought these red jeans last year and I’ve gotten so much mileage out of them! I paired them with a black/white flannel shirt and did a little pattern mixing with the leopard flats. 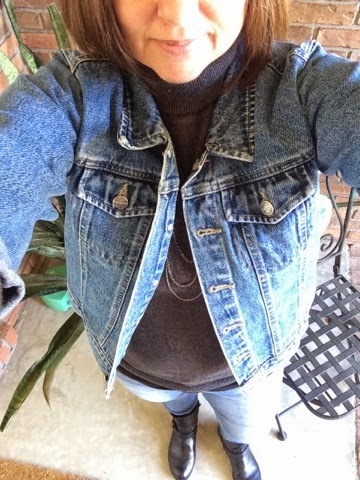 It was cold again this day so I paired bf jeans with lots of layers! A tank under a grey turtleneck sweater under a denim jacket and black boots kept me warm. I realized I forgot to get a picture of this look. I paired jeans with a brown sweater under a waterfall cardigan for this busy errand-filled day. Since Carrie styled a pencil skirt, I decided to do the same. I’ve had this skirt for years but it’s so simple and classic that it’s timelss. I paired it with a light blue shirt and a tweedy blazer. Instead of wearing heels, I wore black tights and tall black boots. Off to church! Next week will be tricky. I’m traveling for work and I’ll be wearing a uniform on two days. So on those days I won’t participate in the challenge. But I’ll do as many as I can!